An intricate diamond pendant in a traditional Maori tattoo design. This stunning Diamond pendant by Jessica McCormack is set with 0.90 carats of diamonds, and is inspired by the ancient Maori art form of Ta Moko. 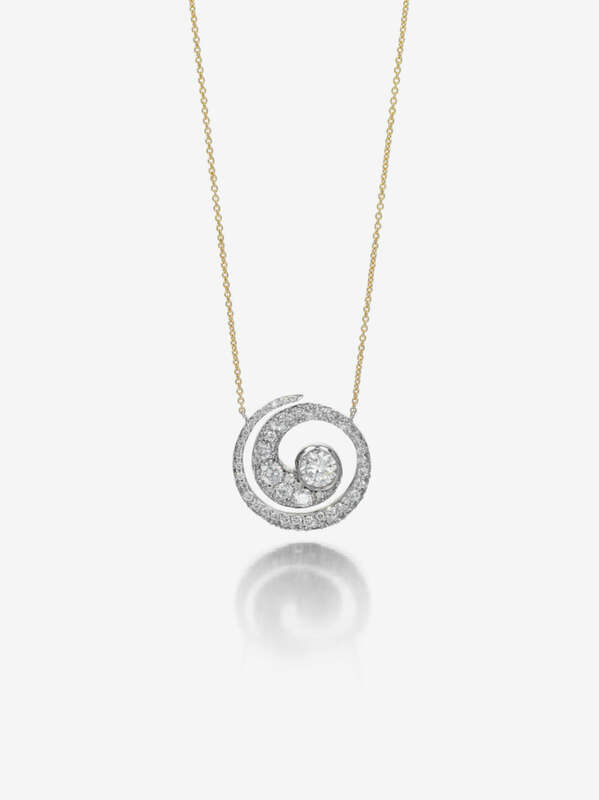 Each spiral motif is hand-set with variously sized brilliant-cut diamonds, culminating with a single stone at its centre, mounted in 18k gold, complete with 18k gold fine chain. Imbued with notions of ancestry and heritage this collection symbolises new life, strength and peace. The perfect wearable talisman. Available in blackened white gold setting, or white gold setting.